Whether we sing, hum, or just inwardly 'Ooh' and 'Aah,' our voices are ideal for expressing emotions, releasing stress, awakening energy or just exploring the world of creativity. This book is a five-day journey into the powerful inner world of vibration. 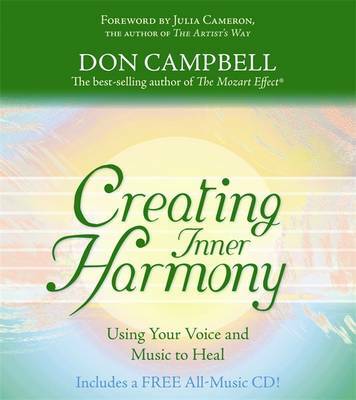 Each chapter is focused on a simple sound and a clear image that will bring you into harmony. The accompanying CD consists of beautiful music that allows you to explore the creative aspects of your voice, emotions, and mental clarity. Simply by humming and toning, you will sense in just a few minutes how to vitalize your mind or calm your stress. Listening, visualizing, and making the simplest of sounds will provide you with new tools for creativity and health.